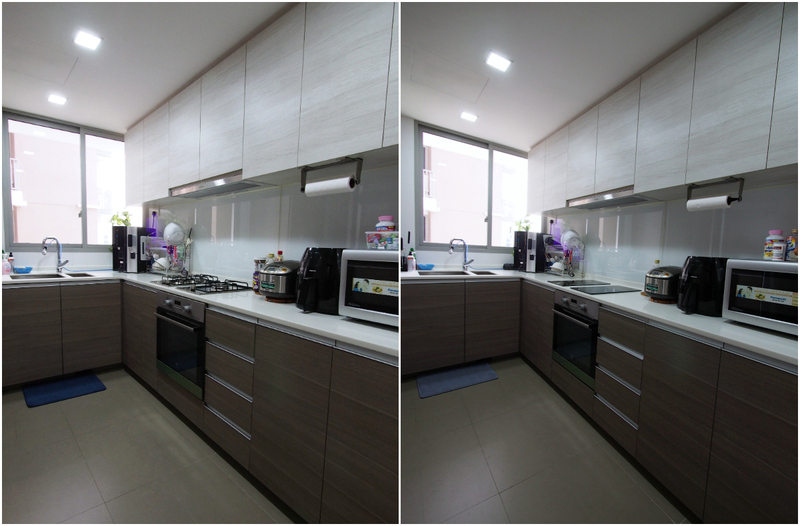 Induction hob is rapidly gaining popularity in Singapore as the technology becomes more and more affordable. When I moved in to Bartley two years ago, I’ve thought of replacing the gas hob with induction hob. However, V felt that it was a waste to throw away the new gas hobs – which is true since we can’t sell them anyway. So, we decided to use the gas hobs for another 1 to 2 years before we change them. Induction is fundamentally unique in that it uses electromagnetic energy to directly heat cookware. In comparison, gas and electric hobs heat indirectly, using either a burner or heating element to heat cookware from underneath. That radiant energy is then passed on to your food. Induction hob doesn’t use burners or heating elements underneath the pan. They employ a series of magnets that excite the iron atoms in a pan to generate heat. As you can probably imagine, it’s far more efficient to heat cookware directly than indirectly. Sounds too scientific? 😮 Fret not! 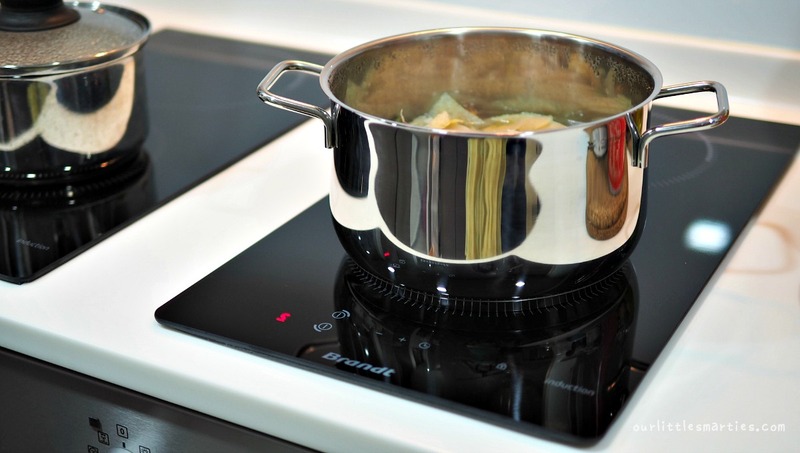 In short, induction hob uses electromagnetic energy to generate heat onto the cookware (without involving flame) when it comes into contact with the hob. Additionally, cooktop surface itself stays cool. You don’t have to worry about burning your hand on a burner that’s cooling down. It’s even possible to put a paper towel around the hot frying pan to keep oil from spattering on the cooktop. Thus, this is the safest option if you have young kids around the house. To me, the best thing is definitely the cleaning part. 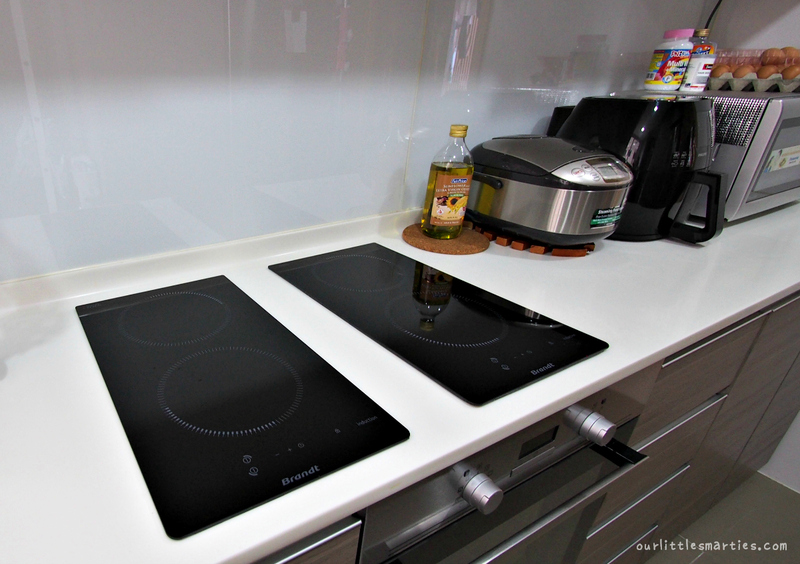 Induction hob is made of tempered glass. Its flat surface shines – no hidden crevices with an easy-to-wipe surface area that leaves no chance for dirt to get caught in. I heaved a BIG sigh of relief knowing that I don’t need to clean that protruding gas rings and pot stands anymore. Phew! Design-wise, it all boils down to personal preference. To me, the clear winner is certainly the induction hob. 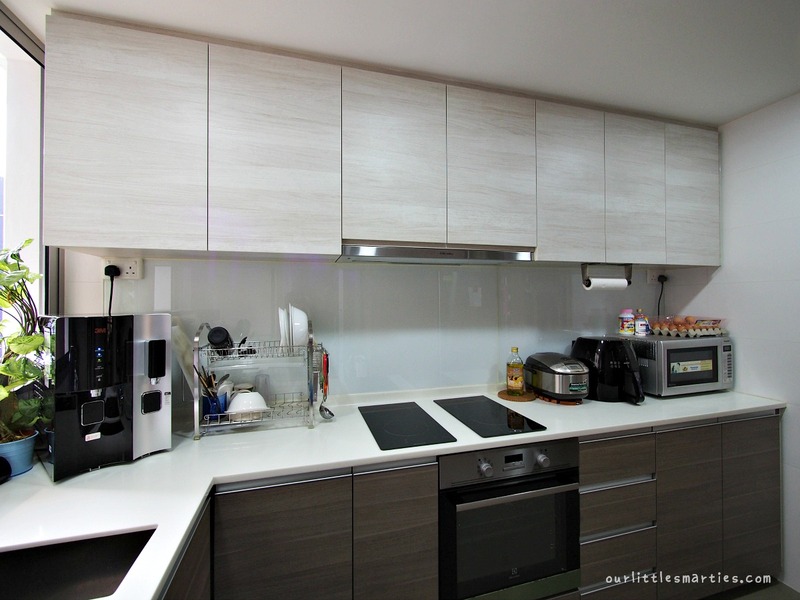 Smooth, glossy and free from unnecessary knobs or protruding edges, it gives a modern and minimalist design that seamlessly fit into any kitchen countertop or style. Here’s a quick comparison between induction hob and gas hob. You know, our brains always read tables faster than paragraphs. Effectiveness Heats up quickly with precise temperature control with the simple press of a button. Longer time to heat-up, temperature and size of flame are adjusted using dials. Cooking Style Cannot pull-off methods that require charring or wok stir-frying, difficult to achieve the ‘wok hei’ feeling. Unlimited flexibility in terms of cooking methods, firepower and cookware. Cookware Compatibility Limited amount of cookware. Pots and pans must be made of magnetic materials and are flat. Work with virtually any type of cookware. Maintenance Super easy to clean. Just one wipe and it looks brand new. Hard to clean. Design Modern and minimalist design that seamlessly fit into any kitchen countertop. Bulky and gritty-looking. Over time will look burnt, old and dirty. Well, one of the known limitations of induction hob is the limited amount of cookware it is compatible with. Pots and pans must be made of magnetic material (like steel or iron) for it to work. This means glass, aluminium and copper pots are out. Additionally, your cookware must be flat (to be able to sit securely on the flat surface of the induction hob). The size of the base of your cookware should ideally be almost the same size of the ring for it to capture heat effectively. Do I find this a problem? Honestly, no! I must confess that I’m neither an avid cook nor a MasterChef in the making. We cook lightly on weekends (I used the word “we” because V cooks more often than me 😆 ). And I don’t like to pile up too many cookware in my kitchen. Hence, a pan and a pot are more than enough for me. Moreover, I use an air-fryer for frying. This keeps my kitchen neat and tidy too. So, don’t forget! The next time you shop for cookware for your induction cooktop, be sure to look for the induction compatible symbol. 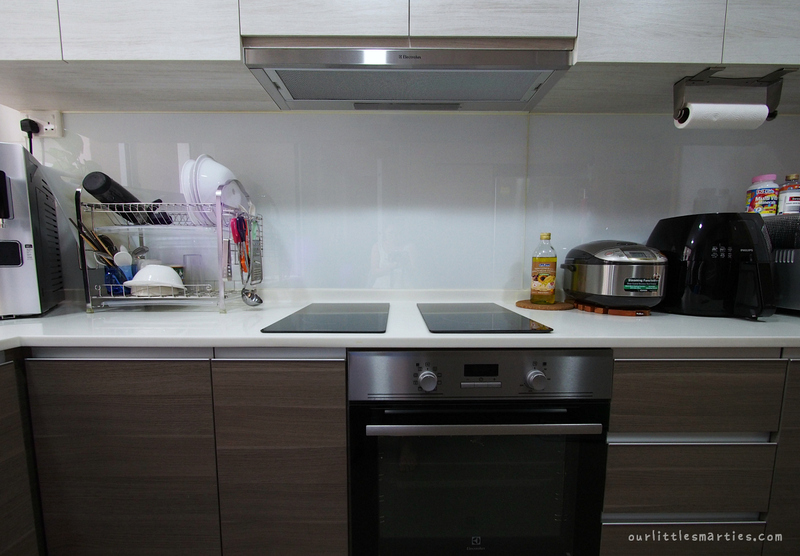 An induction hob is priced from S$700 to S$2,800. As you can see, the price range is quite huge – from budget basics to luxury hobs for high-end kitchens. V and I checked out various brands in the market and we decided to choose a mid-range one. Then, we nailed down to Brandt which has a model with the closest match to our existing cooktop cut-out dimensions. Brandt Induction Hob BPI6210B is a 30cm Two Zone Induction Hob made of Vitroceramic glass with 10 safety features and touch sensitive controls. Decently priced, it delivers more than its worth with a whole host of nifty functions – including overheating protection, child lock, residual heat indicator, anti-overflow system, automatic-stop system, pan detection and small object detection. The Residual Heat Indicators (H flashing in display) let the users know which spots are still hot and remind them not to touch or to place any heat-sensitive items on it. Overheating Protection automatically switches off the heating element of the cooking zone in case of extreme use before the ceramic glass or other components become overheated. Now, the most important feature Child Lock prevents a child from accidentally turning on a cooking zone and activating the cooking surface. With the Anti-Overflow System, the cooking zone automatically cuts of if liquid boils over onto the control panel (yup, this happens if you’re not careful). Other features include Small Object Detection, meaning that the heat does not turn on if a small object is present. So, you don’t have to worry if the little hands put a tiny magnetic toy onto the induction hob – it won’t turn it on! Heat control is very easy as it is digitally controlled. It also comes with a smart timer that allows me to step away with ease. Great for tiny spaces, this practical, two-ring induction hob comes with all the right essentials for safety that gives me the peace of mind in the kitchen for the whole family’s safety. I LOVE its sleek, stylish and shiny glass frame that is extremely easy to clean! Brandt is France’s top-selling brand of household appliances with over 60 years of expertise in the household appliances sector. 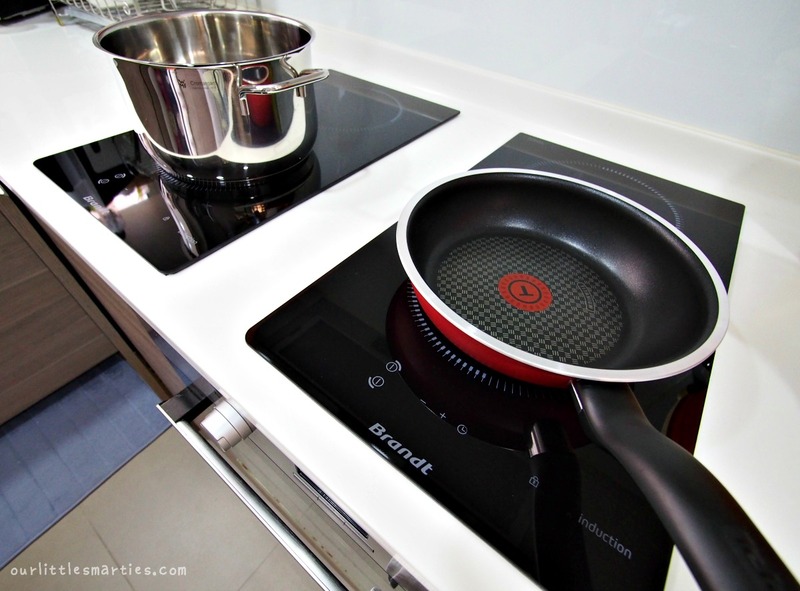 Brandt Induction Hob BPI6210B is manufactured in France, thus we’re well-assured of its quality. 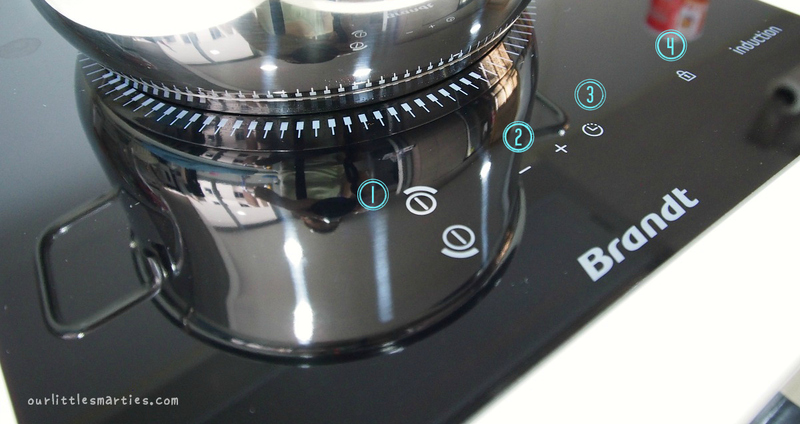 Brandt Induction Hob BPI6210B is very easy to use. Here’s a simple guide. Do note that other models may operate slightly differently. Press the key corresponding to the cooking zone you want to use. You’ll hear a beep and see a “0” sign on the control panel indicating that the zone is on. To stop it, keep the same key pressed down and you’ll hear a long beep sound. The display will then switch off, at this point, you may see a flashing “H” sign (residual heat). Wait for the “H” sign to disappear from the control panel before you power off the hob – the inner ventilation fans are working to cool the hob down during this period. Press + or – to adjust the power from 1 to 9 then P (P is the maximum power). Each cooking zone has its own timer which can be adjusted up to 99 mins. Press successively on the timer key to select the cooking zone you want to apply the timer. Press + or – to set the time. To stop the timer, hold down + or – at the same time. Press the Child Lock key, and the LED above the lock lights up and a beep confirms the operation. Press the same key to unlock it. It’s certainly a wise choice to invest in a child-friendly induction hob if you have curious tots to juggle with. 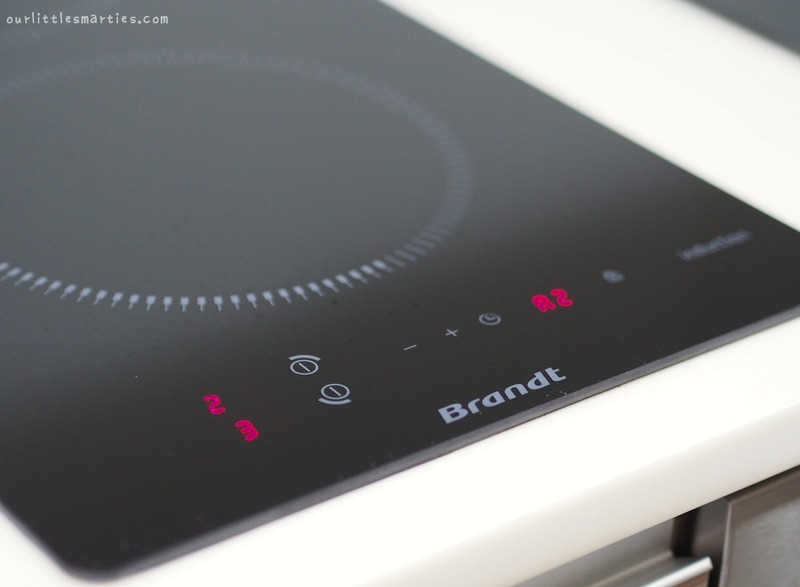 Brandt Induction Hob has an easy-to-maintain design and fuss-free operation (no complicated buttons or unnecessary fancy features). It is the perfect relief for busy mothers like us with little time to cook and clean – but still want to provide nutritious homecooked meals for the family. 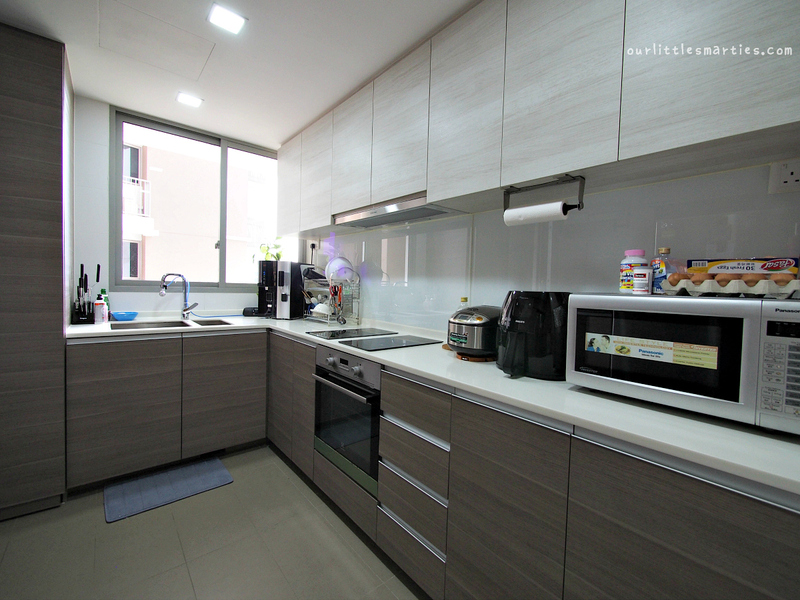 Priced at S$1,399, Brandt Induction Hob BPI6210B 30cm 2 Zone Induction Hob comes with a standard 2 years warranty. You’ll be pleased to know that Brandt offers a one-time complimentary in-home product training for selected Brandt appliances. Now, everyone can cook with ease using Brandt super-fast, brilliantly controllable, easy-to-clean induction hobs in every size and shape that suit all budgets. 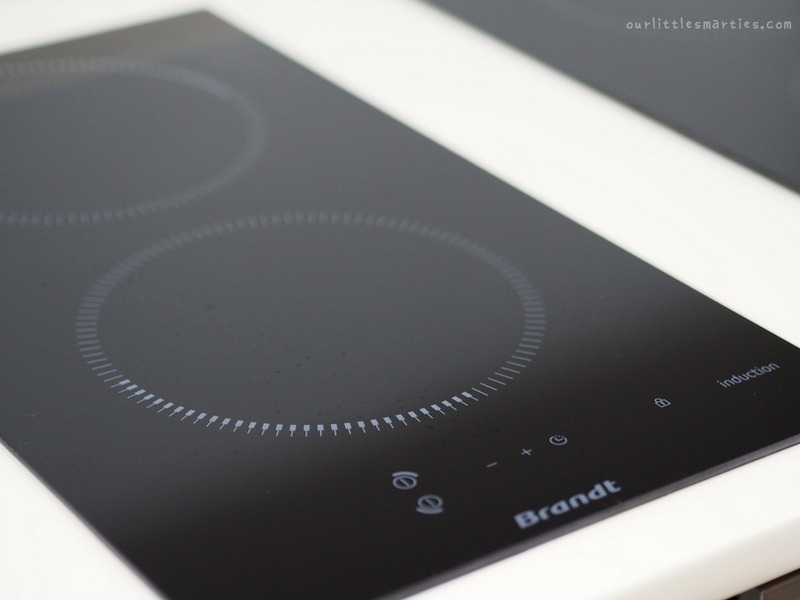 For more information on Brandt Induction Hobs, check out Brandt’s website. While you’re at it, do check out horiZonetech – the powerful zoneless induction cooking surface that is able to accommodate all shapes and sizes of cookware from rectangular pans to oval dishes. 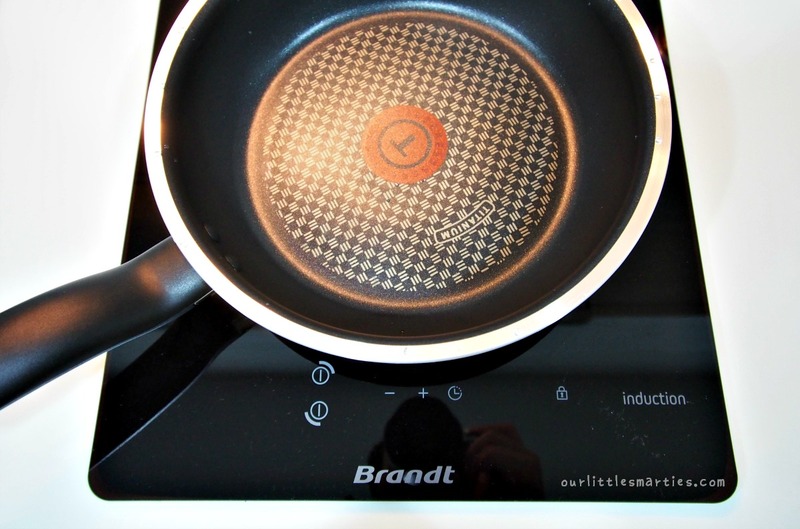 Brandt Induction Hob is indeed safe to use, high tech, and clean. Hi, may I know if the installer gave you any advice regarding ventilation for the hob? Do you have to make any opening anywhere to ensure steady cool and hot air flow esp that your oven is directly below the hob? The induction hob must always be adequately ventilated. Just make sure that the air inlet through the fan grid at the back is not obstructed. The installer also advised me not to use my oven and induction hob at the same time. Hi, can I check if it is easy to install electical point required for induction since the cabinet are all built in. I have an electrical point under my cabinet, so the installer just connect to that point. I didn’t install additional electrical point for my hob.